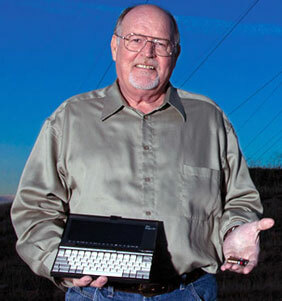 In 1987, the Texas Instruments' engineer John Fairbanks (EE'71 from Missouri University of Science and Technology) started Poqet Computer Co. with his former TI coworker Stav Prodromou (which became president of Poqet, while Fairbanks was a vice-president), and Robb Wilmot (former chairman of ICL, the largest British computer company) in the spare room of a colleague's house in Sunnyvale, California. The engineering team included John Fairbanks, Leroy Harper, Ian Cullimore and Shinpei Ichikcawa. Fairbanks and his partners created the remarkable TI-30 calculator in 1970s, and using their experience they were able to build a remarkable sub-notebook computer. Using as an industrial partner Fujitsu Ltd., Poqet Co. announced in October, 1989, the brilliant Poqet PC, a uniquely small and well designed IBM PC compatible computer (see Poqet PC Users Guide). The size of the machine is: 220 mm 110 mm 25 mm; weight: 540 g with batteries. The CPU was 80C88, working at 7 MHz. RAM memory: 640 KB SRAM. The display was a monochrome LCD, 80x25 symbols text, 640x200 pixels graphics. PCMCIA: 2 × Type I memory card slots. Secondary storage: Drive A: 512 KB MB PCMCIA. Drive B: 512 KB PCMCIA. Drive C: Internal 768 KB ROM drive with MS-DOS 3.3, PoqetTools, GW-BASIC, application programs. Drive D: 22 KB VRAM drive. Drive E: external floppy drive. Built-in software: MS-DOS 3.3, PoqetLink, and PoqetTools (PoqetCalc, a calculator; PoqetWrite, a screen editor; PoqetSchedule, a calendar including an appointment scheduler, alarm, and To Do; PoqetAddress, an address book; PoqetTalk, a communication program). Additional programs (on PCMCIA ROM cards): Lotus 1-2-3, MetrolExpress and Agenda; WordPerfect; XyWrite; Lucid 3-D; ACT! RS-232 and parallel ports are provided by using special cables. 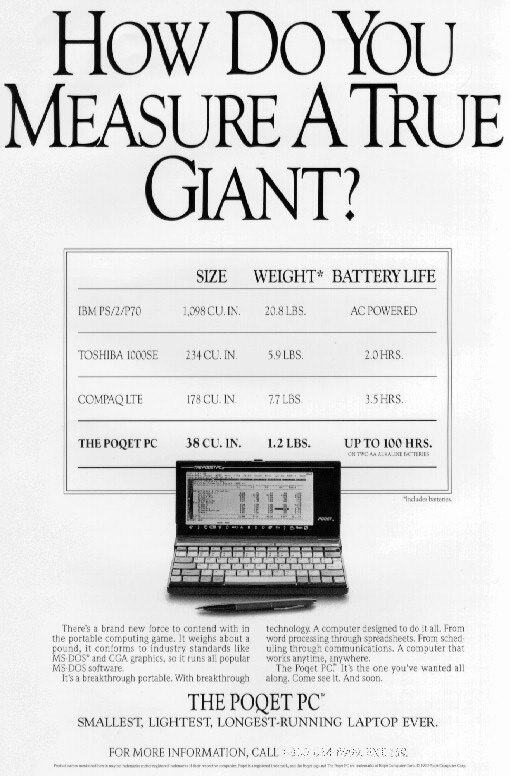 The Poqet PC was a revolutionary machine, as regards its power consumption. 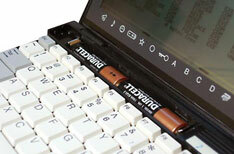 It was powered only by two standard AA-size batteries, which can feed the machine for up to 100 working hours, but using an aggressive power management, which includes "sleeping" (stopping the CPU) between keystrokes and other actions, slowing down and reducing the voltage whenever it is possible, these batteries were able to power the computer for anywhere between several weeks and a couple of months, depending on usage. The computer also uses a special "instant on" feature, such that after powering it down (i.e. hybernating), it can be used again immediately without having to go through a full boot sequence. 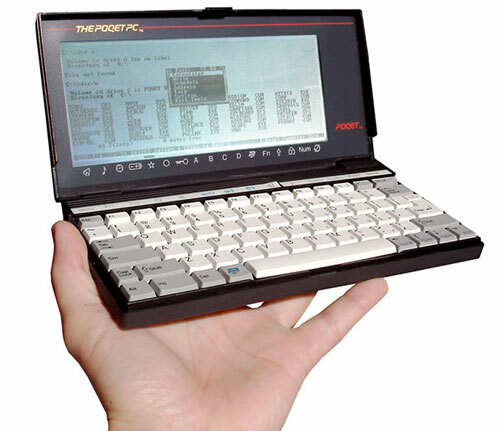 The Poqet PC was dubbed "A one-pound technological marvel" and "The most exciting advancement in personal computing of the year". In 1989, the year of its introduction, the Byte Magazine gave the Poqet PC the "Award of Distinction" and PC Magazine gave the Poqet PC the "Award for Technical Excellence" in the "portables" category. The machine was launched to the market in March, 1990, initial price was 1995 USD. Fujitsu Co. initially provided financing support and owned 38% of Poqet Computer, but they eventually bought 100% of the company, and then released the Poqet PC Plus, which has 2MB RAM and a rechargeable battery, among other improvements. Later Fujitsu moved off in other directions, leaving the Poqet PC behind.